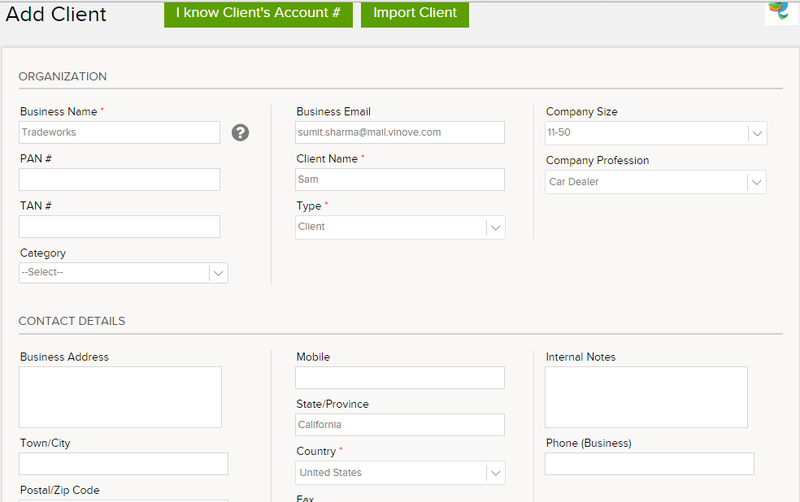 Invoicera Support and Knowledgebase » Clients, Invoices » How to send an invoice to multiple contacts on Invoicera? It is very easy to send invoice to multiple contacts belonging to the same business from Invoicera. There are two ways you can add additional contacts while sending invoices to your clients. Case I: While creating a client, add Additional contacts from Add Client form. Step 3: Enter the client information such as Business name, client name, business email, client address, contact information, client currency, etc. You will see an option to add “Additional Contacts” where you will be prompted to enter the “Business Email” and “Name” of the contact. Both these fields are mandatory. 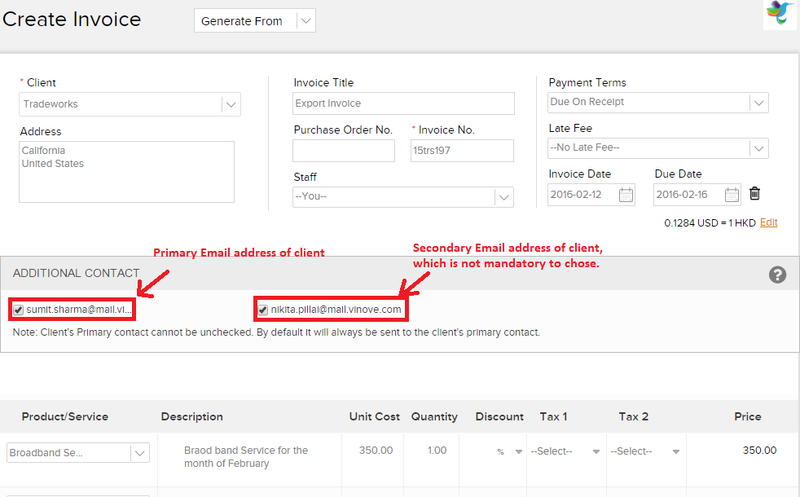 Whenever you create an invoice for the client, in the Create Invoice page the additional contacts will be displayed with a check box. You can select/deselect the contact, whenever required. 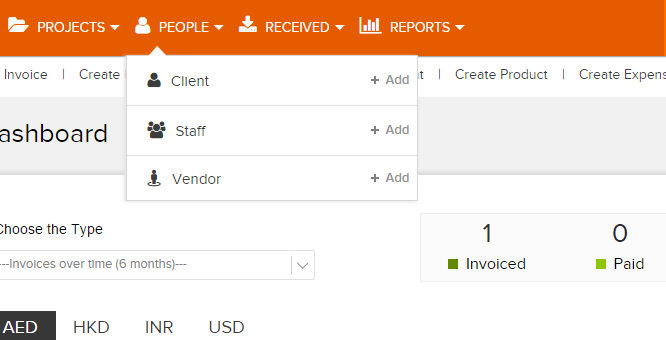 Step 5: Click on “Create Invoice”. Select the client and enter all required information. An additional contacts section will be displayed where all the contacts of the client will be shown. By default the primary contact is selected and the secondary contacts are kept unchecked. 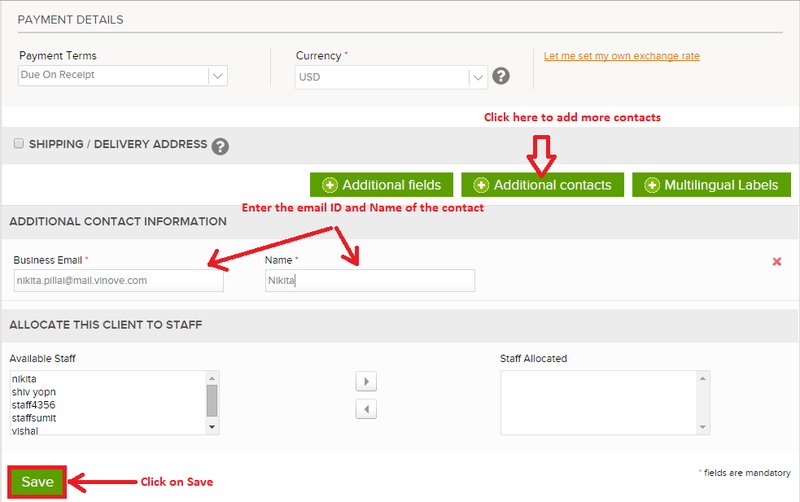 You can select the contacts whom you wish to send the invoice. Once the invoice is created and sent, the mail history section gives you an overview of the users to whom the invoice has been sent. There is no limit to the number of additional contacts one can add to a client. Also, it is very essential to ensure while adding the additional contacts that they should be employees who belong to the client organisation. This is to ensure that the invoice information is not misused. 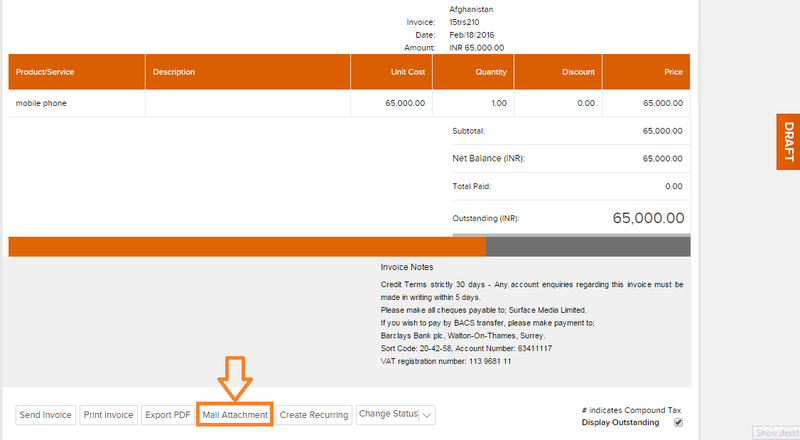 The invoice mail sent consists of a secure link which redirects the client to his Invoicera dashboard, which shows all the invoices sent to the client. So, it is always advisable to ensure the integrity of the person added as an additional contact. Case II: To add CC to your Invoice mail before sending the invoice. Step 1: Create an invoice and click on Save as Draft. 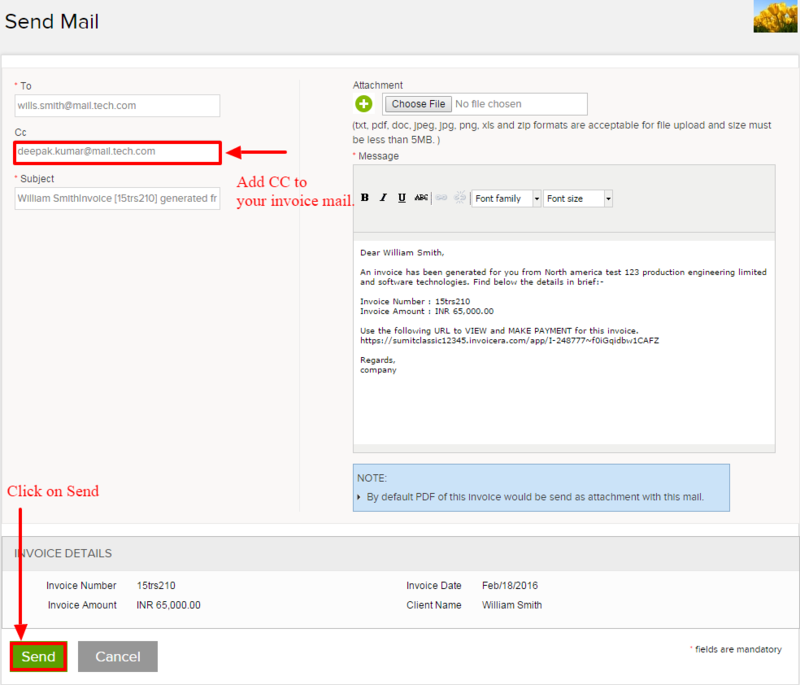 On the bottom of the Invoice Preview page, there is an option “Mail Attachment” which not only allows you to attach documents but also allows you to add CC to your mail. Note – This option allows to add only single additional contact. How can i do this with api? How To Add Additional Fields For The Client? How to View Sent Invoice Reports?